Spearfishing-Shop - Camouflage Wetsuit for spearfishing - Wetsuit Seac Sub Kobra 3,5 mm. • Become virtually invisible underwater wearing this open-celled camouflage suit featuring our proprietary mimetic design. • Anatomically cut to facilitate better fit, seal, comfort and ease of breathing. • Model: Jacket 3,5mm and high-waisted pants 3,5mm. • Outer lining: new exclusive mimetic design. • External Seam: double blind stitching. High resistence to abrasion. Interior glued to avoid any type of infiltration. 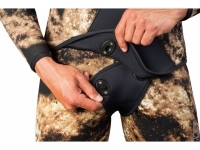 • Preformed anatomic cut: designed to optimize fit in order to allow free breathing. • Jacket: with hood. Beaver-tail closure with clip buttons. Sternum protection in patex. 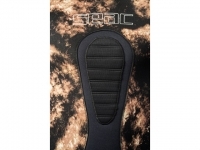 • Material: High resistence, rubber coated reinforcements on knees and elbows. This Product was added to our catalogue on Friday, 20. March 2015. 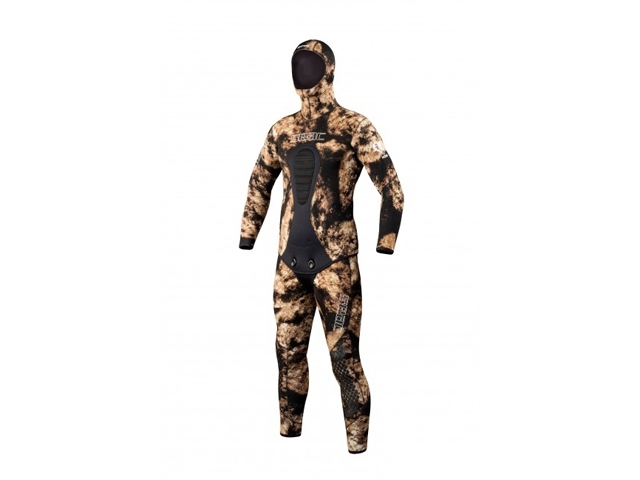 Main page » Catalogue » Wetsuits - Camouflage » Wetsuit Seac Sub Kobra 3,5 mm.